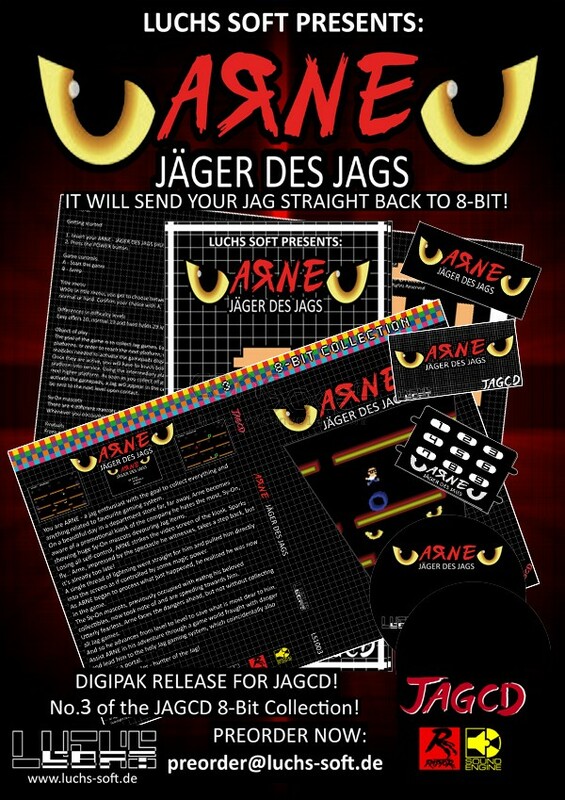 ARNE - Jäger des Jags - Sold out! 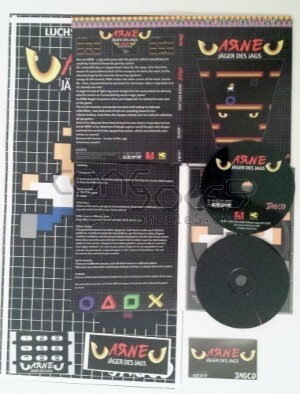 Your are ARNE - a jag enthusiast with the goal to collect everything and anything related to your favorite gaming system. 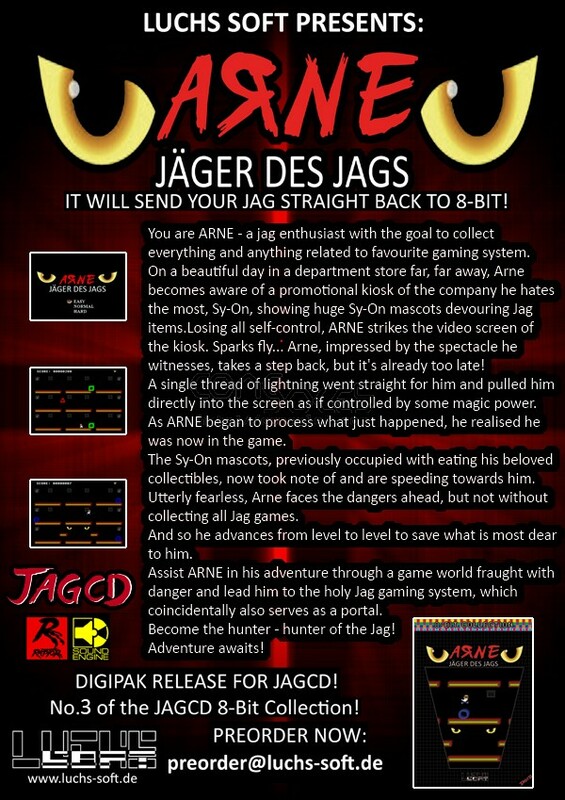 On a beautiful day in a department store far, far away, Arne becomes aware of a promotional kiosk of the company he hates the most, Sy-On, showing huge Sy-On mascots devouring Jag items. Losing all self-control, ARNE strikes the video screen of the kiosk. Sparks fly... Arne, impressed by the spectacle he witnesses, takes a step back, but it's already too late!